To make the Brush tool even more versatile and to make it easier for users to apply more gradual and nuanced local adjustments, we added two new settings options—flow and opacity. Opacity lets you determine the maximum level of opacity (or transparency) of the area you’re painting. If you set the opacity at 100%, your adjustments will be applied at 100%, and the area will be completely opaque, or covered up. If you set the opacity at 50%, the brush will cap this setting at 50%, and your local adjustments will be only 50% applied, which will allow the original area content to remain partly visible. Flow lets you determine the amount of “paint” you apply with each stroke of the brush. If you set the flow to 100%, a single brushstroke will reach the maximum opacity setting selected. If you set the flow to 13%, the first brushstroke will apply 13% of maximum opacity (1). A second stroke over the same area will add another 13% of the maximum value (2), and so on until the maximum opacity level is reached (3). These two new settings options give you more control over transitions and the intensity of your adjustments, resulting in the most natural-looking and professional edits possible. 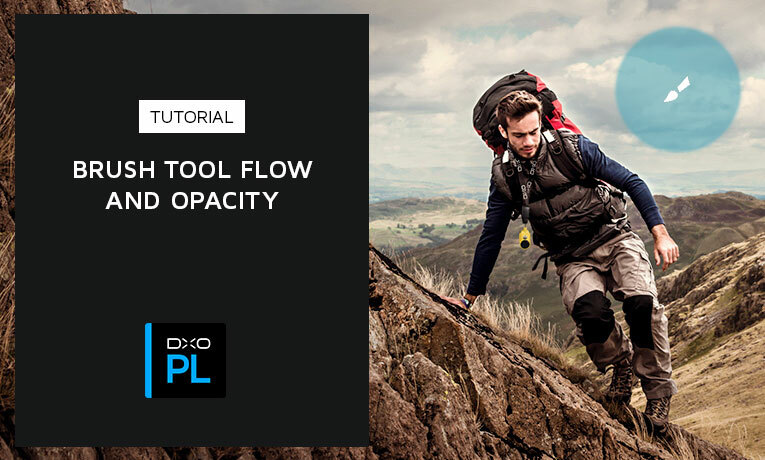 Flow and opacity are also available in the Eraser tool.